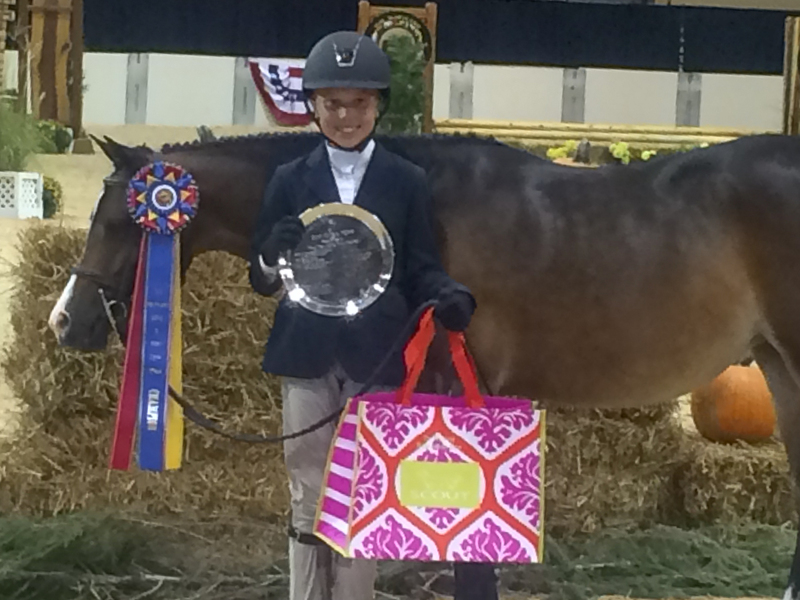 Skyland Farm congratulates Emma Pell for a most amazing 2016 show season aboard her ponies and horses! We congratulate you and wish you the best of luck in 2017! 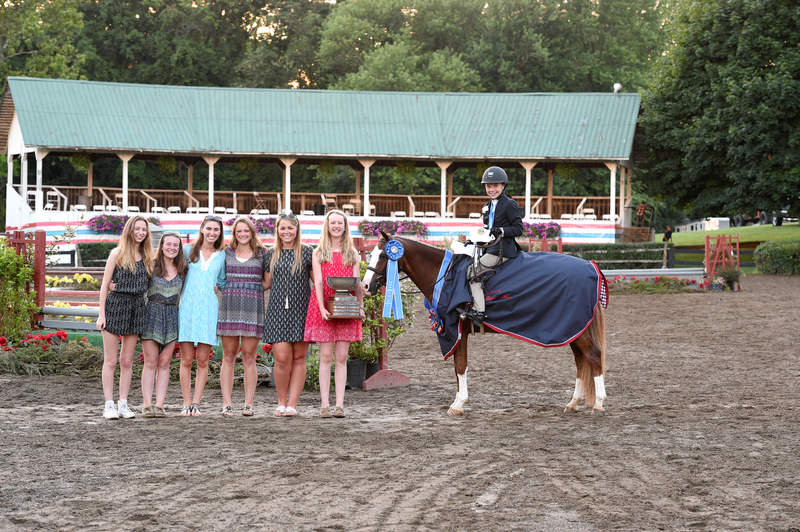 The Warrenton Pony Show in Virginia, the oldest Pony Show in the United States, is a favorite stop on the summer show circuit for Skyland Farm, and this year’s event, June 29-July 3, was especially successful for the entire team. Emma Pell receives her awards for winning the VHSA Pony Medal Final! 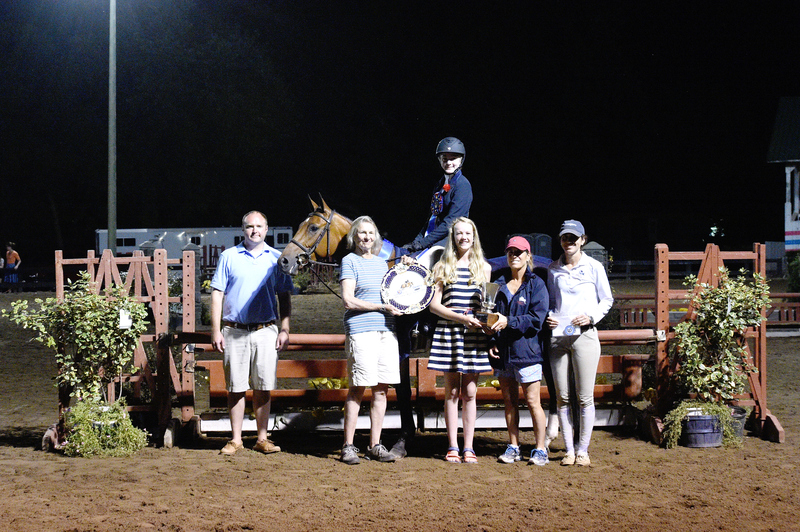 Additionally, Skyland student Virginia Bonnie and her mare Blue A Kiss earned the Large Pony Hunter championship, sweeping the division, and also earned the Grand Pony Championship, won the Pony Hunter Classic and finished the show as Overall Grand Hunter Champion. “Virginia is an amazing horsewoman. She’s the great-granddaughter of Mrs. A.C. Randolph, granddaughter of Nina Bonnie and daughter of Shelby and Carol Bonnie, of Upperville, Virginia and San Francisco. Great horsemanship is obviously in her blood!” said Denice. Virginia Bonnie and Blue A Kiss receiving the Grand Championship titles! 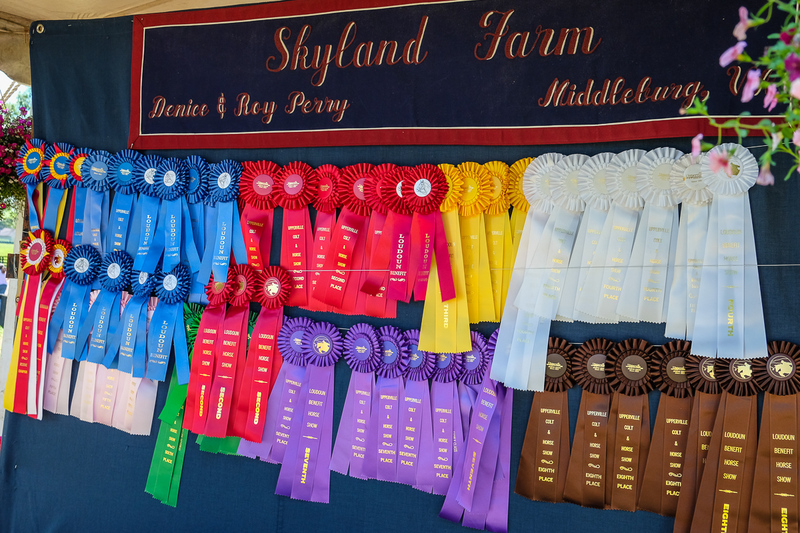 Skyland’s riders picked up quite a collection of tricolor ribbons during the show. 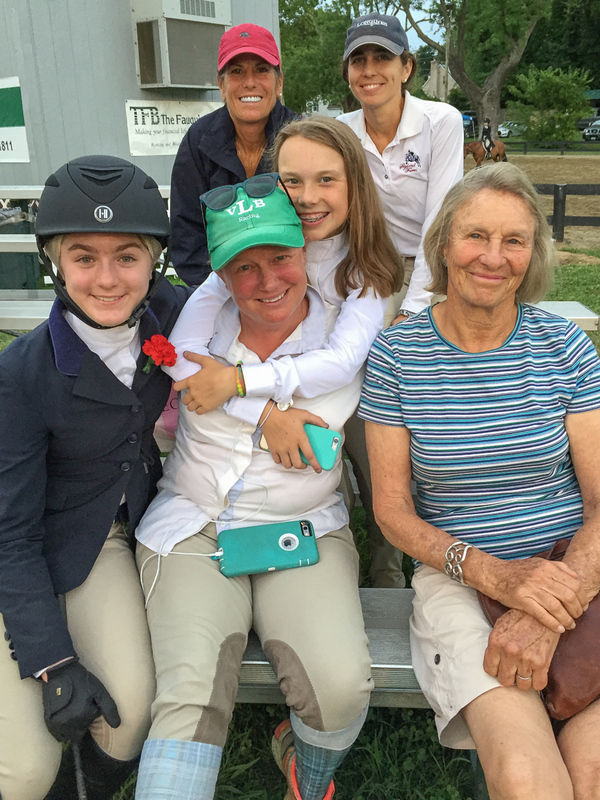 Leslie Kopp and her Fenwick earned the Amateur-Owner Hunter Reserve Championship, while Emma Pell and Checkmate were Reserve Champions in the Medium Pony Hunters and Emma guided her Small Pony Hunter Forget Me Not to the Reserve in that section as well. It was a great week to enjoy many successes and celebrate the Fourth of July! 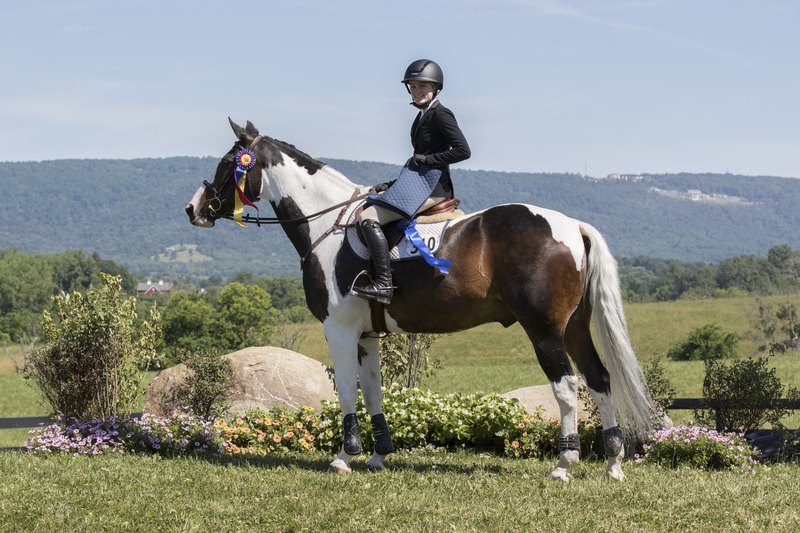 After a super successful week during the Upperville Colt & Horse Show, Skyland Farm clients and horses continued their excellent performances during the Loudoun Benefit Horse Show, held on the same show grounds in Upperville, Virginia, from June 15-19. Championship ribbons began accumulating from the start of the week, with Leslie Kopp’s Fenwick earning the 3’3″ Performance Hunter Championship with Chiara Carney aboard. 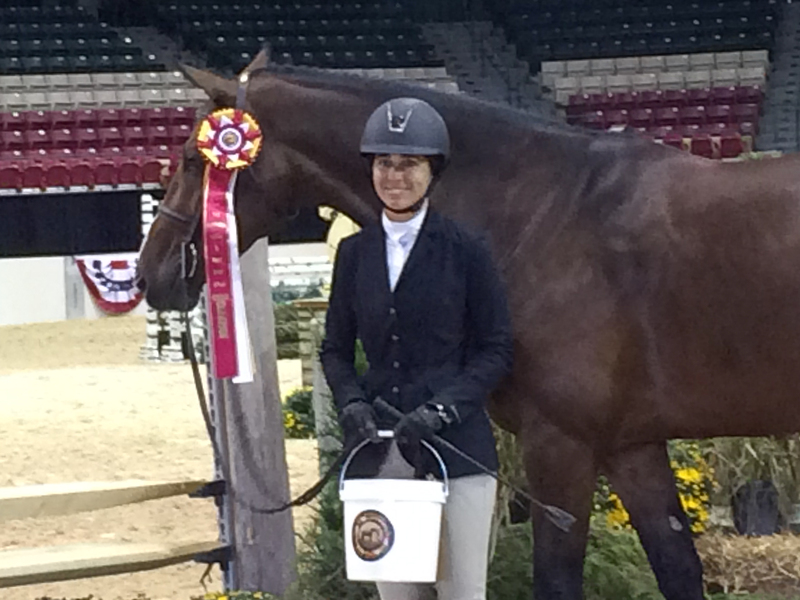 Leslie also earned excellent ribbons later in the week aboard Fenwick in the 3’3″ Amateur-Owner, 36 and over, section. 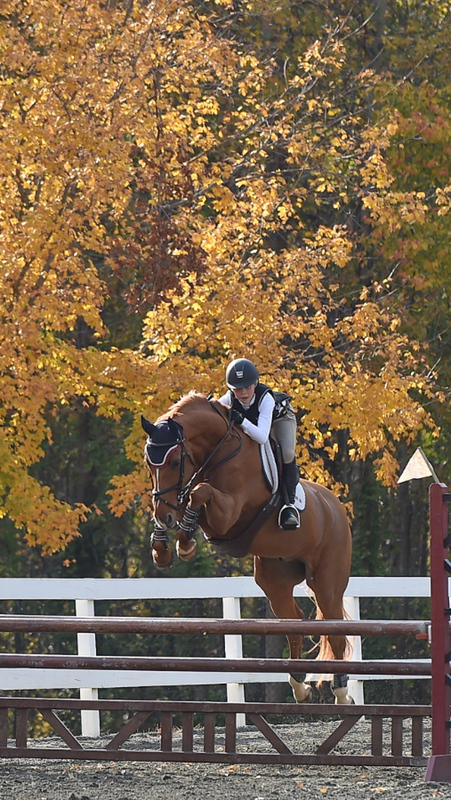 Amelie and Alexandra Tippett jumped to the Low Adult Amateur Jumper Championship after top placings in the section as well as victory in the Classic. Similarly, Virginia Bonnie and her Wishful Thinking captured the Low Children’s Jumper Classic blue ribbon on their way to the section championship. Virginia continued her winning ways in the hunter ring as well, guiding Blue A Kiss to the Large Pony Hunter reserve championship in this hotly contested pony section. 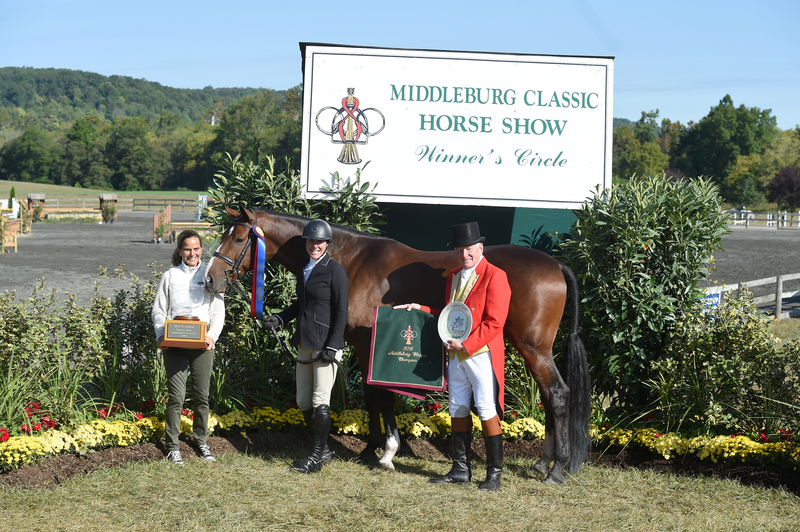 The pair also won the Pony Hunter Classic, topping a field of 19 entries. 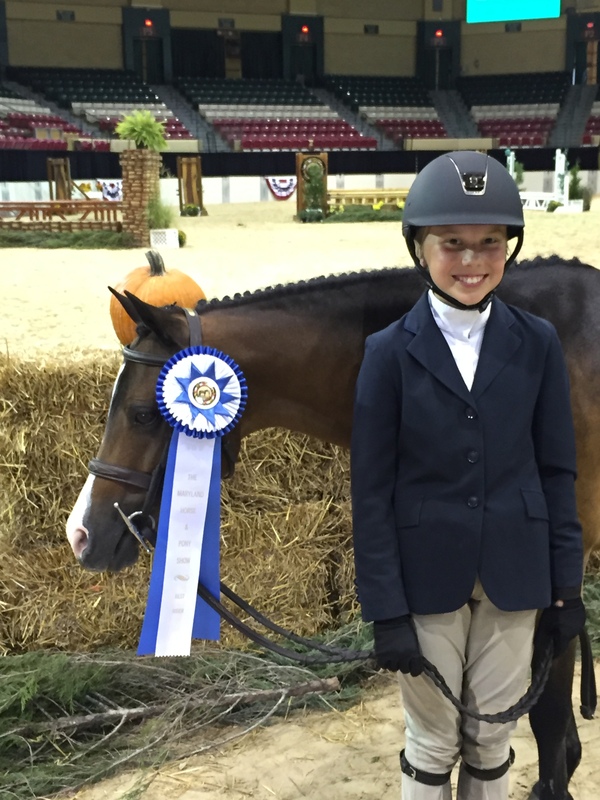 Emma Pell added blue ribbons to her collection with wins with Checkmate in the Medium Pony Hunters and Ari 55 in the jumpers. Leslie Kopp also placed well in the Adult Jumpers with Carduzo and El Cano as did Kaylin Dines and Why Not, while Virginia Bonnie soared to top placings on Captiva, her newest mount. 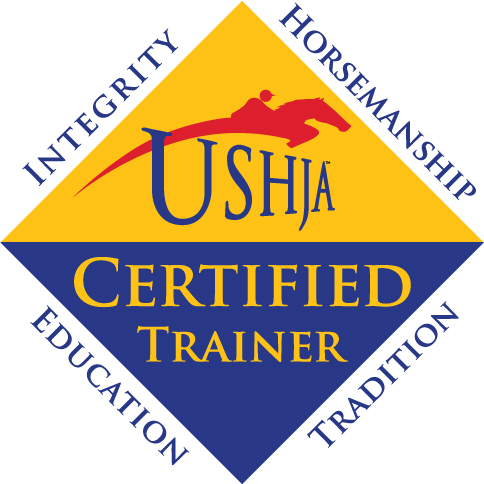 Michele Trufant guided her Prime Time and Dancing Ollie to excellent performances, with Dancing Ollie earning the reserve championship in the Open Hunters, and Danielle DeRisio rode Skyland Farm’s veteran Placido to ribbons in the Children’s Hunter, 15-17, section. We hope you enjoy this collection of fun photos from the week–so many great memories made!